It’s quite interesting how many varied roles hinges play in the aerospace arena – more than most people, probably, realize. 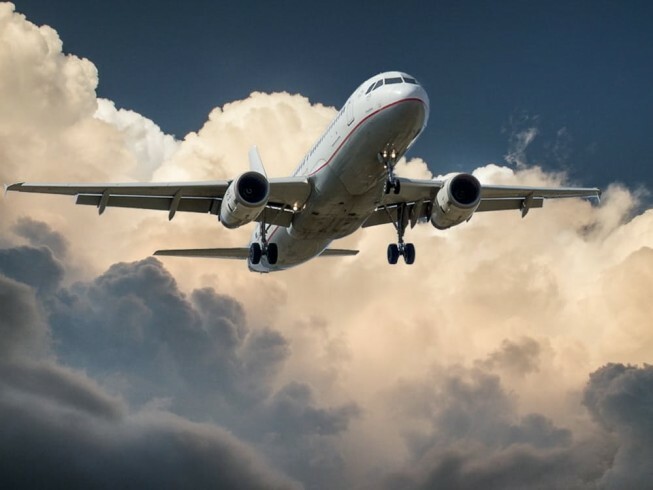 The label ‘aerospace hinge’ is actually a general heading that incorporates an array of specialty hinges geared for respective aerospace applications. Those applications can be embedded in commercial, military and NASA-related projects, and run the gamut from critically-demanding roles to more mundane functions. They are all designed to support functions within galley systems, cargo/passenger/service doors, wings, tail assemblies and a whole host of moving parts that, absolutely, must operate seamlessly. The performance expectations of aerospace hinges are as varied as the hinges, themselves. When people are aboard aircraft of any type, it is especially important that hinges live up to their reputations for dependability, endurance and strength. Commercial planes, private jets, fighter aircraft, military transport planes, drones, satellites and space-exploration vehicles have a paramount reliance on aerospace hinges to perform as they should. When it comes to doors, aerospace hinges are not simply limited to entrance/exit doors on various aircraft. Hinges are attached to landing gear doors and plug doors, for example. Plug doors are particularly interesting and are designed with a complex hinge structure that allows the doors to partially open and, then, tilt to snugly fit through the fuselage opening. Plug doors seal themselves due to the pressure difference on the two sides, and are often used on aircraft with cabin pressurization. Intricate hinges that allow for the plug door’s ability to swing inside, rotate several axes and move through the opening, only to be positioned outside and parallel with the fuselage, is intriguing. Depending on the aircraft, the plug door might open, partially, inward and become tilted to fit through the fuselage opening, while other designs have locked hinged panels at the top and bottom edges that allow for the door to be swung outward. Elevators are invaluable devices that regulate the wings’ pitch and lift, and are attached to the tailplane or horizontal stabilizer with specialized hinges. If you have ever enjoyed a helicopter ride, you can thank your successful flight, in major part, due to the pitch hinges that were part of the helicopter’s rotor. The rotor allows the blades to twist about the axis, extending from blade root to blade tip. A helicopter’s main rotor system generates not only the aerodynamic lift force that supports the weight of the helicopter, but the thrust that counteracts aerodynamic drag during forward flight, as well. Teeter hinges allow one blade to rise upward while the other blade moves, downward, allowing the blades to flap. The concept works similar to a child’s teeter-totter, or see-saw. Then, there are coning hinges which permit each blade to move up and down, independently of one another. Sending satellites and highly-specialized equipment into outer-space means any vehicles or equipment must be ready to face a brutally-heartless environment with extreme temperatures and zero gravity. Miniature satellites, for example, are equipped with solar panels that rely on very complex aerospace hinges that enable the panels to move into exacting positions, on demand. The hinges open and close the solar panels, via, computerized commands. Some of these ‘smart’ hinges are designed to open no more than 180 degrees, and they meet that specification thanks to ‘stop features’ built into the hinges’ knuckles. Without the use of specialty hinges, solar panels would not function. This would mean internal batteries would not be recharged, mirrors and lens used for data collection would not operate, and antennas which enable communication back to earth would not function. After it’s all said and done, aerospace hinges ensure vehicles and parts perform in very unforgiving, pitiless ‘climates’. The definition of hinges is a very simple one: a mechanical bearing that joins two solid objects, allowing for various types of movement. The applications and critical importance of aerospace hinges, however, stretches that simplistic meaning well beyond Planet Earth, into the farthest, darkest reaches of the unknown!